Jewdar regularly peruses the obituaries and takes stock of those of the Tribe who made an impact on American culture. Generally, we are too lazy and attention-challenged to write anything about it, but this weekend a Tribesman died who’s life work had a huge personal impact on Jewdar, and who’s death on Memorial Day weekend rendered his passing not just a personal loss for his family but a fitting and poignant reminder of what the day still means to some people. Don Levine, one of the fathers of GI Joe, has passed away. First of all, let’s be clear on this; when Jewdar says “GI Joe,” we don’t mean a couple of crappy big-budget CGIgasms, or a crappy 80’s cartoon, or a tiny widdy biddy 3.5 inch tall plastic action figure with barely any points of articulation representing some nebulous paramilitary organization. No, when Jewdar says “GI Joe,” we mean 12-inches of fully poseable US army hero. Back in 1963, another Yid named Stan Weston came to Levine, a top executive at the Hassenfeld Brothers toy company (later to be known as Hasbro) with an idea. Weston, who had a merchandising company, was friendly with Elliot Handler, the Yid who, with his wife Ruth, owned the Mattel toy company (somehow, we managed to slide our dominance of the toy industry past the antisemites’ radar). He learned from Handler, whose company was making a fortune on Barbie, that the real money is in accessories. So Weston pitched to Levine the idea of a do–sorry, action figure for boys. They’d buy the action figure, and then buy piles and piles of guns, equipment, uniforms, and so on. 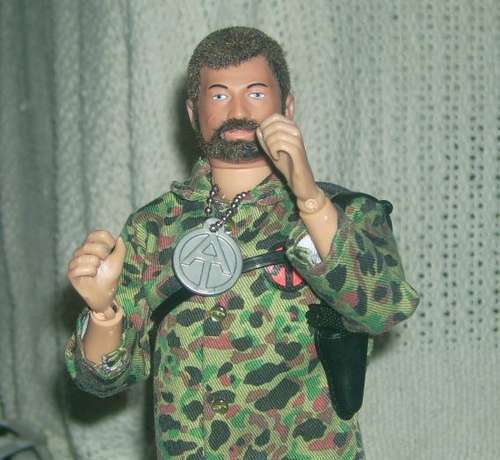 Levine loved the concept, and called in Sam Speers (Jewdar believes he was a Yid) to do the design, and a year later, GI Joe was on the market, making sure that a decade later, little Jewdar would be able to get one of his favorite childhood toys (well, more than one–Jewdar still has a box full of GI Joes and accessories). So what’s the big connection to Memorial Day? GI Joe–the real GI Joe–wasn’t just a toy, it was reflection of an America in which military service wasn’t just something we pretended to care about on Memorial Day and Veterans’ Day. Levine, Weston, Speers, and innumerable others involved in the process were vets. And while they wanted to make money, they also wanted to get it right, to make a toy that was also a tribute to the American fighting man. It was a mission that a whole lot of people could relate to. They went to a local military base to borrow some equipment to copy, and when they told them what it was for, the GIs enthusiastically gave it to them. And we if we recall correctly (it was a long time ago that we read the book), while driving back to the toy factory, they were pulled over by a cop with a trunk full of this war surplus, and they told the cop why they had it, and he, also a vet, was just as excited. The adults who bought GI Joe for their sons were vets, the kids who played with GI Joes were boys who expected to be soldiers one day, and in many cases (Jewdar included) eventually were. And many of us never got rid of our GI Joes. GI Joe was born at time when military service was something that was both real and respected, and GI faded in the 70’s as military service came to be seen as something at worst shameful, and at best, with the end of the draft, unnecessary. Memorial Day in America is a funny thing. We pretend that its meaningful–and for some, sadly, it is far too meaningful–but for most of us, it’s simply a day off to drink beer and have barbecues. And you know, that’s not so bad. We shouldn’t be expected to remember our fallen the same way Israel or even Britain does, because our relationship with war, thank God, isn’t the same as theirs. Having been a GI, Jewdar can tell you that we like beer and barbecue, and plan on having some tomorrow, and what’s more, we think that’s as it should be. We talk about “freedom” and “liberty” and other abstractions that our fighting men and women died for, but ultimately, doesn’t it all come down to the fact that they gave their lives so that we could live ours, so that we could continue to enjoy the same kind of pleasures, simple and abstract, they did when they were alive? At least among Ashkenazim, it used to be custom to fast on a parent’s Yarzeit, until the Chasidim came along and introduced the custom of the tikkun–having a little schnapps and cake and drinking for the elevation of the deceased’s soul. To Jewdar, it’s a lovely model for Memorial Day–say Kaddish, then have a l’chaim to honor and elevate the soul of the dead. 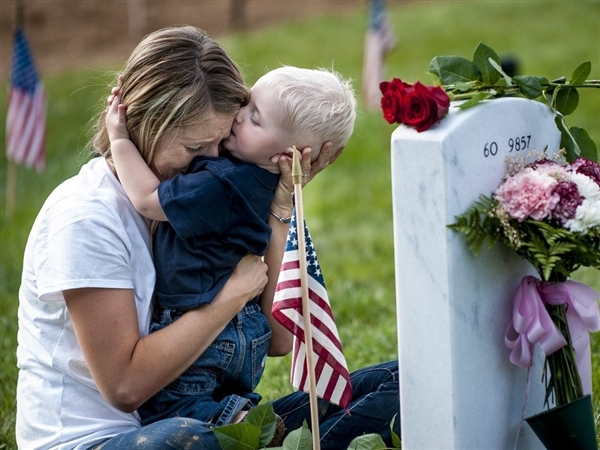 On Memorial Day we should definitely enjoy our barbecues and beer, but make sure that we understand the price that our nation’s sons and daughters have paid to allow us to so in our customary obliviousness. May the family of Don Levine be comforted with the mourners of Zion and Jerusalem, and may the families of America’s fallen service men and women receive comfort in the knowledge that on Memorial Day, their sacrifices are remembered, and truly appreciated.